One of the great strengths of our flagship software “Kanto Karaoke” is its powerful functionality of conversion from MIDI to MP3, leaving unchanged the synchronized text in the output file. The only limitation is that you can’t change the key (or volume or speed) of the midi before the conversion: the file is converted in his original key/volume/tempo. If you want a powerful MIDI TO MP3 Converter that allows you also to change key/volume/tempo of the midi before the conversion, the right program for you is Kanto Audio Editor. 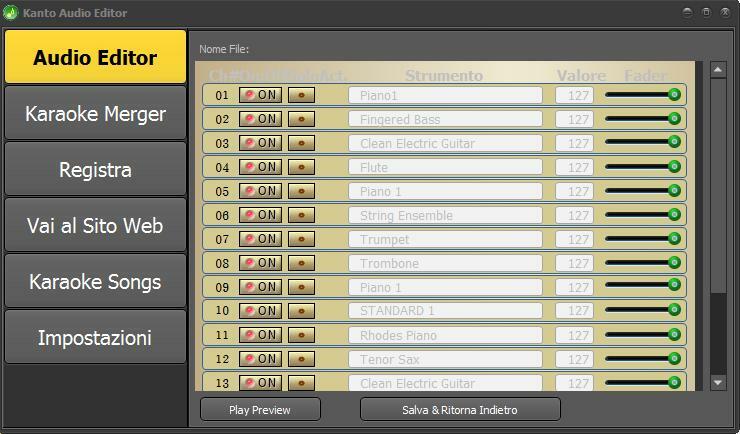 Is is a powerful midi & mp3 audio editor that allows you to edit and convert any MIDI to MP3 format. With it you can change the key (pitch) of the mid/kar file and then convert it to MP3. In addition, you can also change the volume and the speed of the song. During the conversion from MIDI to MP3, the lyrics (and its timing) will remains unchanged! Kanto Audio Editor is really vesy simple to use. 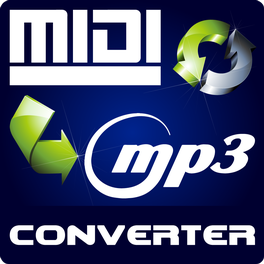 Here you can find the steps to follow to convert your MIDI songs to MP3 format (preserving lyrics). 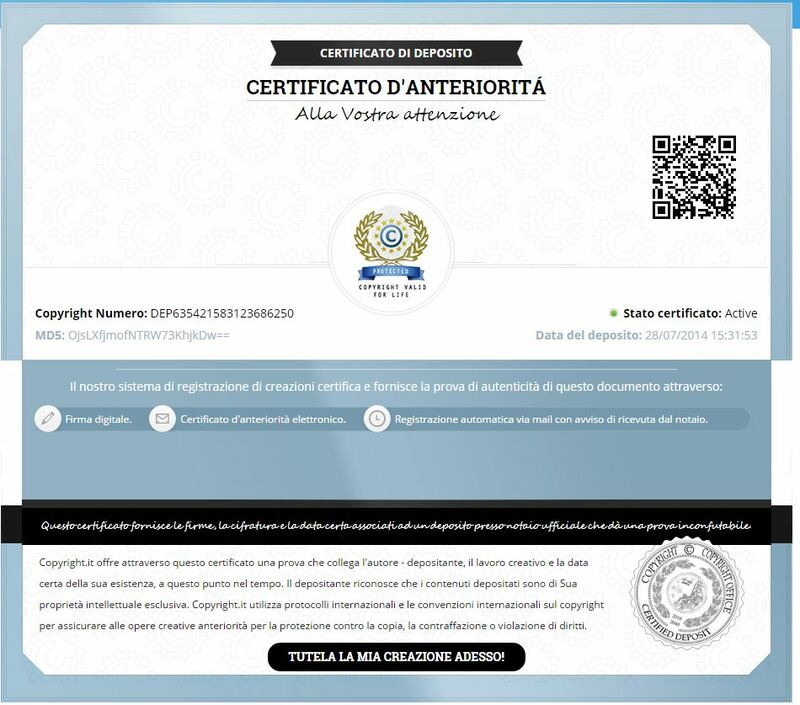 The MP3 obtained from the conversion will have karaoke lyrics embedded and you will be able to play them with our Karaoke Player software. Click on top right on BROWSE button to select the midi/kar file that you want to convert to MP3 format. 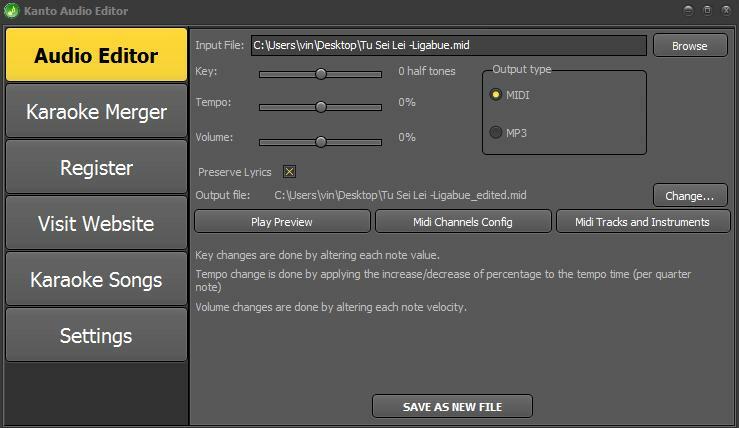 After importing the midi file, you can adjust the following parameters: key, tempo (speed) and volume). Be sure that the option “Preserve lyrics” is selected: the output mp3 file will have the same lyrics of the midi/kar files. Click on “PLAY PREVIEW” to hear the audio file before the conversion. Before the MIDI to MP3 conversion you can also remove some midi tracks unwanted. For example you can remove the melody channel (it usually is the track number 4). To do that click on MIDI CHANNEL CONFIG and then select the tracks to exlude from the song. Click on “Save and Go Back” to save settings and return to the main window of the program. 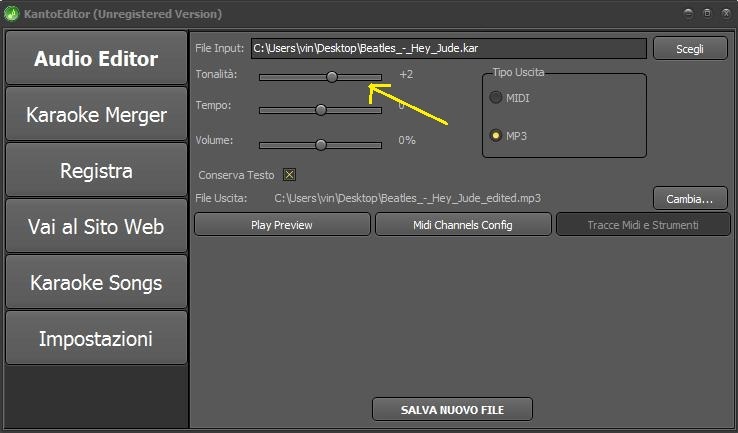 Choose the output folder clicking on “Change” and then click on “Save As New File” to convert MIDI to MP3. My name is Damien Kenny, I ordered Kanto from you today and I still have not received your email to install it onto my computer. Can you check on this and send it on to me thank you. please check now your email inbox.